Using global talent mobility strategy to transfer knowledge and skills, put the best staff in the most pressing areas, addressing talent needs that local markets cannot meet, and to give future leaders an international perspective of the company has been putting human resources strategies to the test for many years. 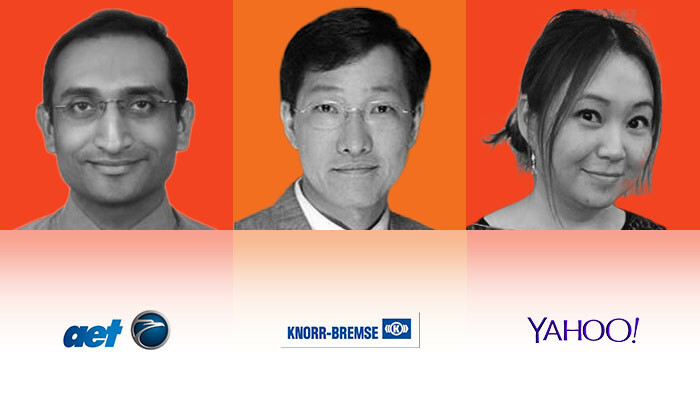 At Workforce Mobility Interactive 2016, top HR executives from AET, Knorr-Bremse and Yahoo are joining other top-notch speakers to discuss solutions to the biggest workforce mobility issues. Taking place in Hong Kong, Kuala Lumpur and Singapore in February 2016, Workforce Mobility Interactive 2016 is an exclusive invitation-only conference open to director and VP-level HR professionals and mobility specialists from global and multinational companies. “Sourcing and attracting potential candidates around the world drive companies to stress their competitive advantage and reinforce their corporate brand, but retaining people they hire is a different story,” said Aditi Sharma Kalra, regional editor of Human Resources. Now in its second year, Workforce Mobility Interactive will focus on the key areas of staff mobility and expatriate management research into the HR community has found to represent the most pressing issues for HR professionals in Asia. Holding over 20 years of professional experience, Sanjay Ray has been appointed by global shipping company AET to lead its global rewards strategy and serves as a key advisor to management on compensation matters. As the company’s global head of rewards, performance management & operations, Ray is in charge of developing reward financial models to forecast expense and impact on the business and managing global mobility and vendor management processes. His expertise is in HR processes, compensation and consulting with strong exposure to M&A and international HR practices. Benjamin Wong, HR director for Asia Pacific at Knorr-Bremse, holds CPA and MBA qualifications and is a member of the Hong Kong Institute of Human Resources Management and the Australia Institute of Human Resources. He has experience setting up learning centres which support staff development and engagement, launching of HRIS, formulating strategies and implementing action plans. Before joining Knorr-Bremse, he served as the Asia Pacific vice president of human resources at Vesuvius Advanced Ceramics and as China HR director for Otis. Yahoo’s human resources head for Hong Kong, Korea & Japan, Connie Chan, has been instrumental in leading technology companies and investment banks in the past, particularly in the areas of change management, employee engagement, organisational effectiveness and workforce management. Her 13 years of experience in the field has allowed her to develop expertise in talent acquisition and consulting in Hong Kong and Asia Pacific. Her main interest is in leading CSR events and working closely with employees. Other companies represented on the Workforce Mobility Interactive 2016 agenda are Daimler, Dell, General Electric, General Motors, Mastercard, Mondelez, Siemens and Unilever and many more. All presenters & panellists, such as Caroline Thorley-Farrer, regional head of mobility Asia Pacific at British American Tobacco, are director or vice president level HR professionals with regional responsibility. Workforce Mobility Interactive 2016 focuses on the most pressing issues pertinent to mobility and expatriate management such as international compensation & benefits, global talent management, return on investment, and regulatory compliance as well as risks and opportunities in dealing with an evolving inter-generational and diverse global workforce. To get a global and Pan-Asian regional view of staff mobility and expatriate management strategy, do not miss Workforce Mobility Interactive 2016. Employees feel pressured to skip lunch when their managers don't take a break, making them moody and less productive. ..
You say "creative people are born with it". But, former President Obama’s first Chief Innovation Officer for the USAID argues othe.. The decision came after company said that it had found over 100 devices had installed the game on work phones. ..